Friend and client obtained the date of oath for citizenship. Congratulations! 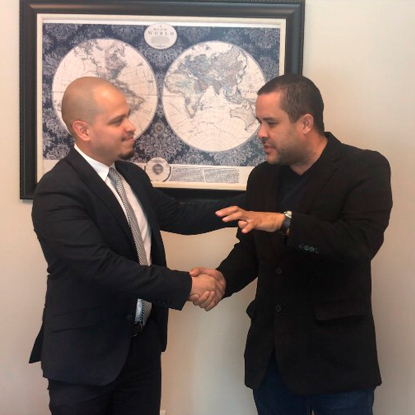 Obdulio Medina, from Honduras, obtained his Permanent Residence in the USA. Congratulations Obdulio! 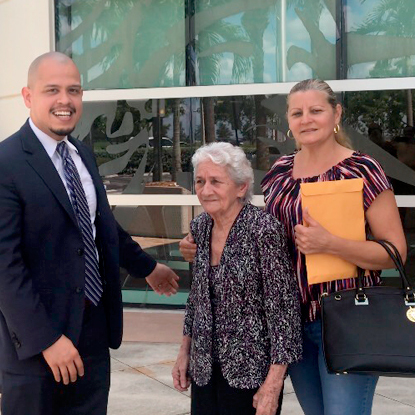 Ana Castellon, from Honduras, receives pardon after 12 years of illegal status in the US. Congratulations! 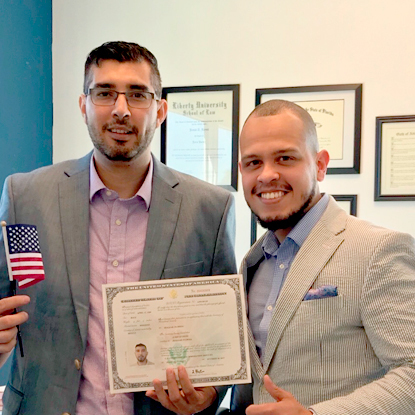 After 20 years without legal status, today he obtained his legal residency in the US. Blessings! 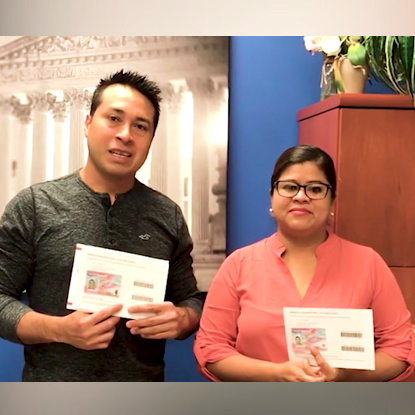 After many years in the USA, this couple receives their legal work permit and now have the opportunity to regularize their immigration status. 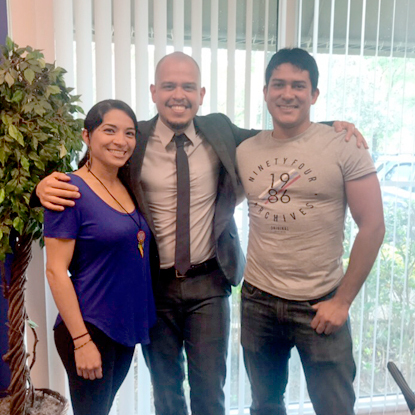 Congratulations Bayardo and Maria! 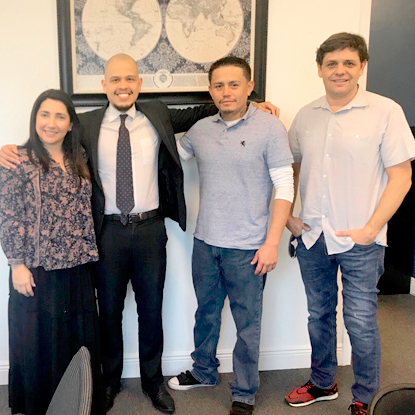 Through an petition made by his mother, and after many years undocumented, Hernan Huaman has obtained pardon from the United States immigration service to apply for permanent residency at the American embassy in Peru. Congratulations to The Huaman family! 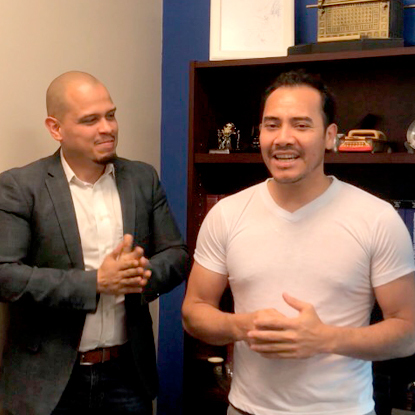 After receiving a deportation notice, Ramon of Guatemala is allowed to remain in the United States thanks to God's favor and legal proceedings that prevented imminent deportation. Friend and client Jose Coronado from Nicaragua was detained for several days in an immigration detention center. 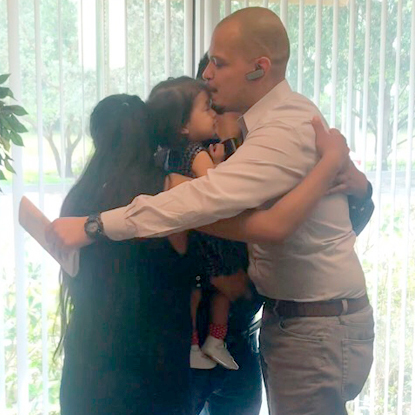 Today he is free, and with opportunities available to obtain his residency legally. Congratulations! 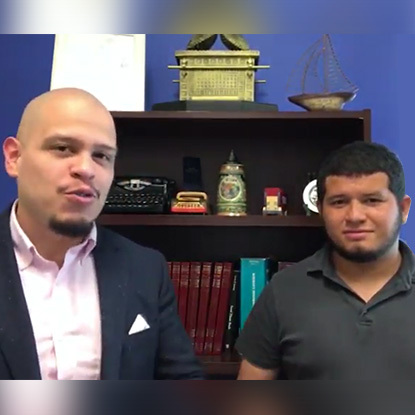 Young Venezuelan, Sr Jacob, was granted political asylum. God bless you and congratulations! 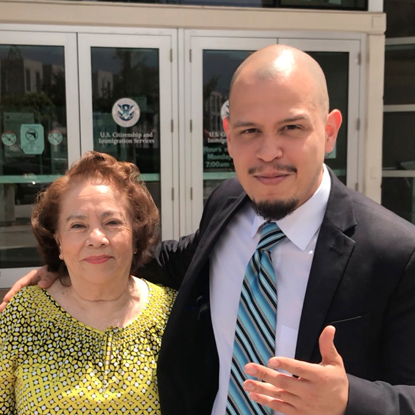 Rudy Canales, a young man who came to United States to fulfill his dreams but was detained by immigration, is no longer held at the detention center. Congratulations! 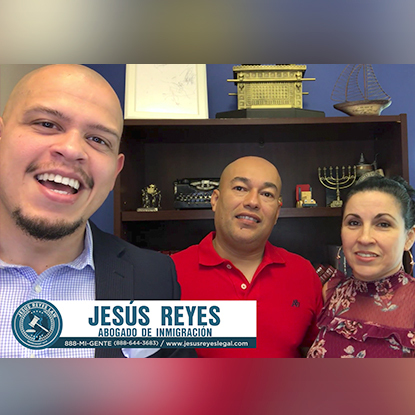 Jesus Reyes decided to help two Guatemalan cases (at no cost) request asylum that would allow them to stay in this country. 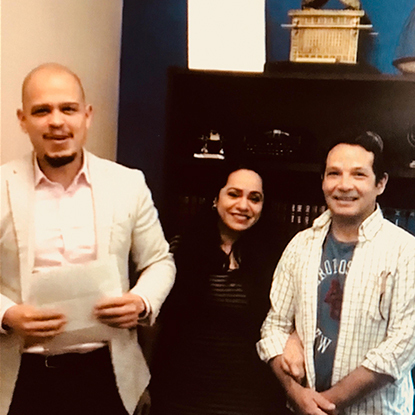 After more than 20 years without any legal immigration status, my client Yolanda, from Colombia, is granted a family petition which will make her eligible to obtain legal resident status in the United States. Congrats Yolanda! 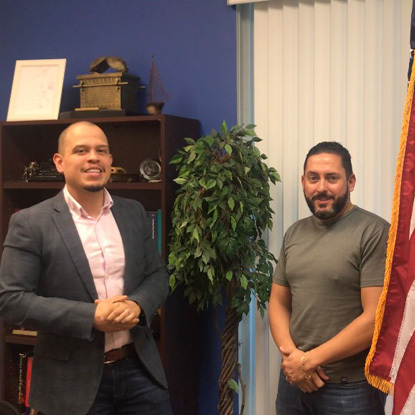 After many years of waiting, our client Bernabrsl obtains his citizenship in the United States. Bernanrdo may now petition his parents. Congrats! 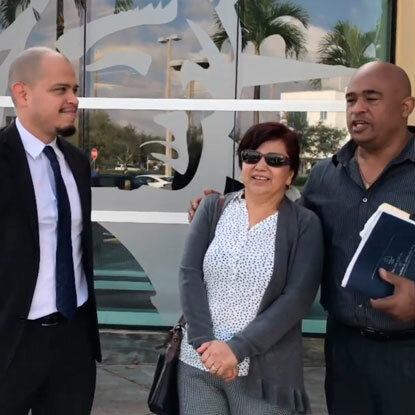 Honduran Family has been granted political asylum in the United States at a Miami Immigration Court. Even though this family’s petition was denied twice in the past, the Medina family did not give up. 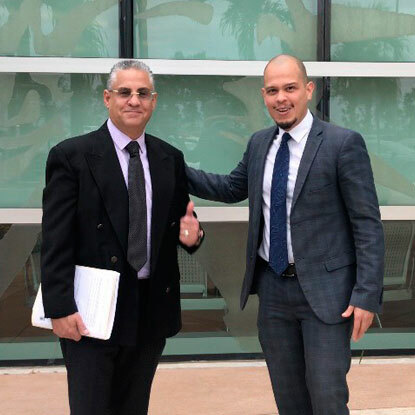 My client’s faith along with the right legal assistance were key in winning his asylum case. 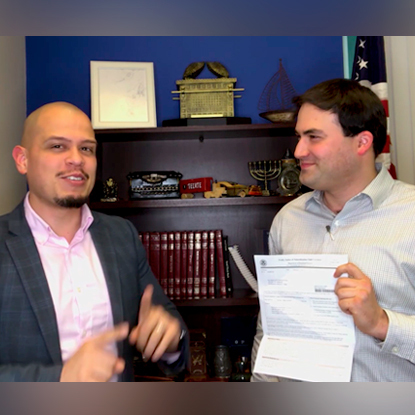 They now have legal status in the US! 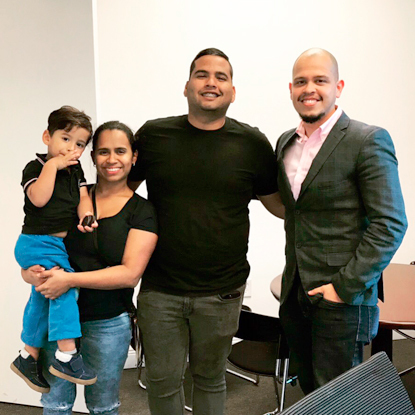 Enry Pedron, a Venezuelan businessman along with his wife and child, for a while, have the desire to expand their business in the United States. Thank God, and our legal assistance, Enry and his family were approved a special visa for executives. We wish the very best to Enry and his family! 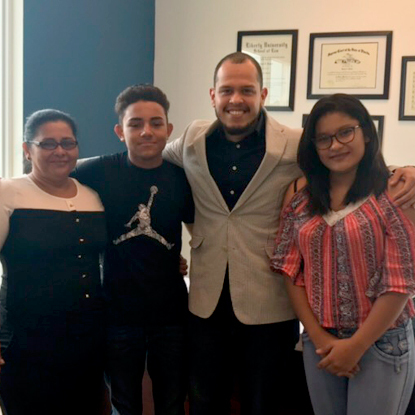 After 15 years of not seeing her children and her parents in the United States, thankfully, today my client María Cabrera received an immigration pardon and is allowed to apply for residency through the United States Immigration Service (USCIS). Congratulations Maria and may the blessings continue! 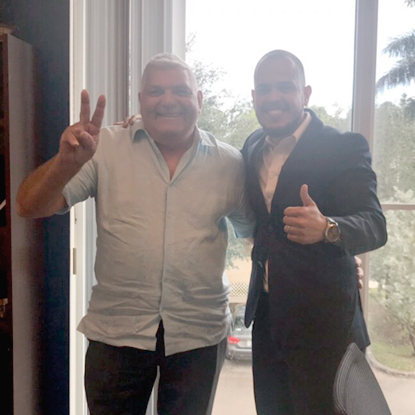 Lenin Hernández, of Nicaragua, finally manages to obtain his residence after many years of waiting. Congratulations Lenin! Santa Muñoz, from Cuba, is an exceptional person whom I lovingly call "Grandmother". She is an example to follow. Although he suffers from a medical condition, she set out to obtain her citizenship. After a long time of waiting and sacrifice, today she succeeded. Congratulations Mrs. Muñoz and best of luck! 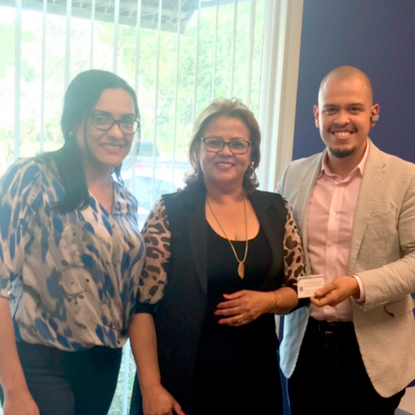 Lisette is an enterprising Honduran woman of faith who gave us opportunity to help her obtain her residency after years of waiting. May the blessings continue for Lisette and her family. 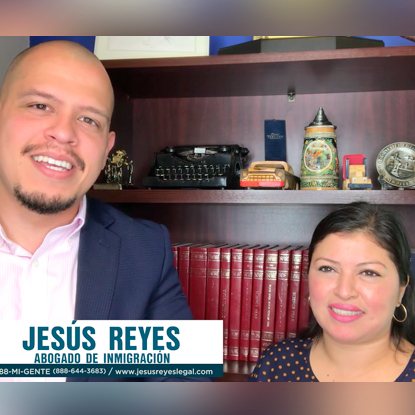 Today, Joselyn and her husband from Guatemala were approved for political asylum in the United States! Pictured are Joselyn, her husband and daughter, congratulations to this young couple and much success! 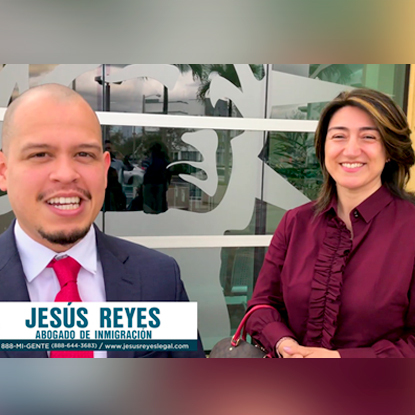 Jenny Canelo is a woman of faith from Nicaragua who, after several years without legal status, was able to become a legal resident in the United States. Congratulations! Lina Rangel, a young woman from Colombia, came to the United States at a very early age. She managed to overcome challenges due to not having a legal status in the United States. Thankfully, today she not only was able to obtain an immigration pardon but has now become a legal resident. Congratulations Lina and much success! 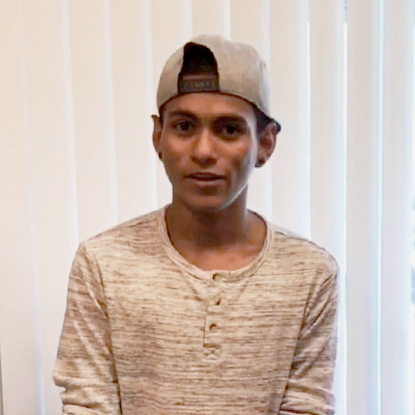 Kevin Juan Carloa, is a young man from Honduras who came to the United States looking for the American dream. 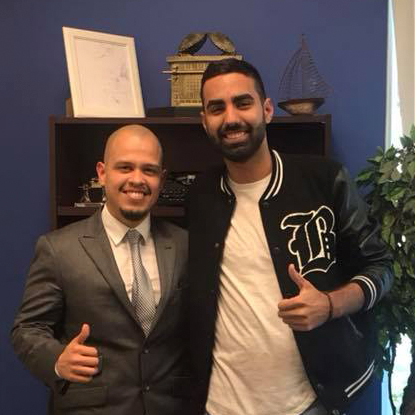 Although for many years he was forced to work without documents, today this young man has obtained his work permit and legal license in the United States. Congratulations Kevin Juan Carloa! 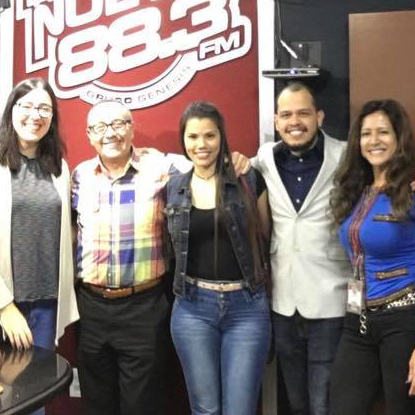 Nelson Loor, from Ecuador, always dreamed of obtaining citizenship of the United States. Although it took several years and many difficulties, today Nelson is an American citizen! Congratulations! Mrs. Molina, from Nicaragua, who for many years tried to obtain her citizenship, is today an American citizen! Jose and Estefany Chirinos are an exemplary couple. Estefany is a young woman from Ecuador who asked for an immigration pardon to be able to process her residence. 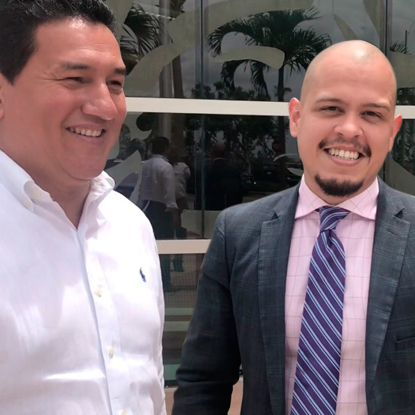 Estefany's pardon has been approved and Jose's pardon has already been applied for. Today, the couple own their own home and are about to become parents. May the blessings continue! Gladys, originally from Cuba, managed to obtain an emergency permit to go to her country. She was approved the day she applied and in less than 20 days was able to visit her country. May God continue to bless Gladys and her family! 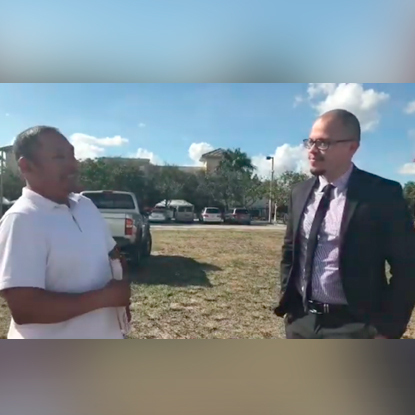 Jason, a young Venezuelan who was detained and sent to a detention center in Broward, today is a free man. 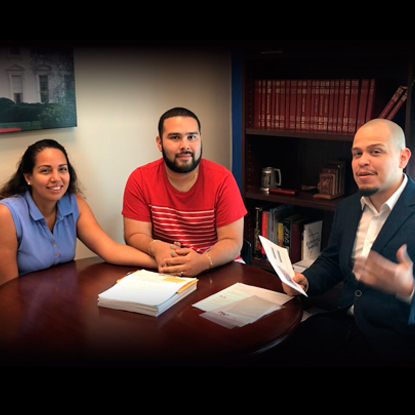 Jason, his wife and son are on track to regularize their status and achieve the American dream. When David - an American citizen originally from Russia - and Marisol from Costa Rica met, it was love at first sight. After several months of courtship, they decided to get married. 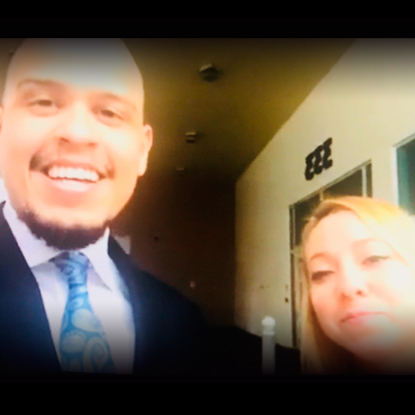 The couple had many doubts and concerns regarding the legal aspect of how to obtain residency for Marisol. 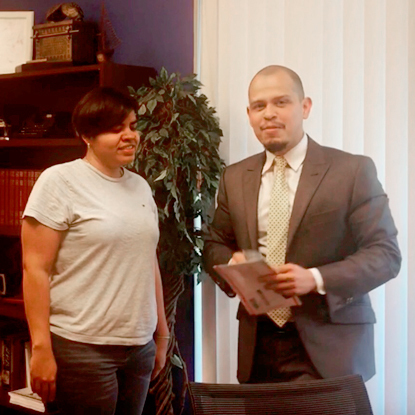 Thankfully, Marisol has now obtained legal status in the United States and is on track to become a resident. Congratulations and many blessings to this special couple! Lina Trujillo, is a young Colombian woman who, for many years, tried to obtain her permanent residency. Today, Lina is a legal permanent resident of the United States! Mirna Menjivar, a young Salvadoran woman, was granted asylum in the United States, after facing many obstacles in her home country. Today, Mirna and her daughter are on their way to be residents of th United States. May God continue to bless Mirna with much success! 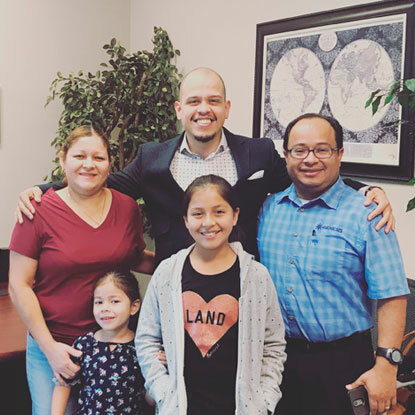 Padilla Family from Honduras has obtained discretionary legal status and the opportunity to legally work in the United States. Aurelio Ortiz - originally from Mexico, spent several years undocumented, facing many personal challenges. Today he has obtained his citizenship. 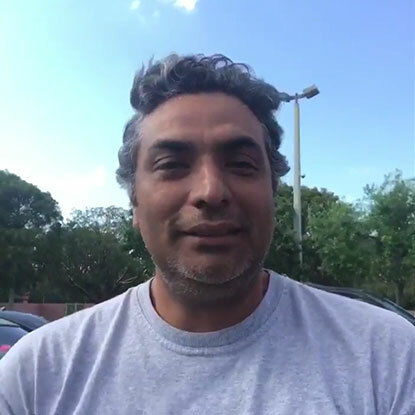 Jaime Landaeta, from Venezuela, was granted political asylum for him and his whole family! May God continue to bless this entrepreneur. Enrique Santiesteban, originally from Cuba, was nearing deportation and having his residency revoked. The immigration judge forgave Enrique and today he is a legal resident and applying for citizenship! Angie Morales, a young Venezuelan, was on the verge of deportation. 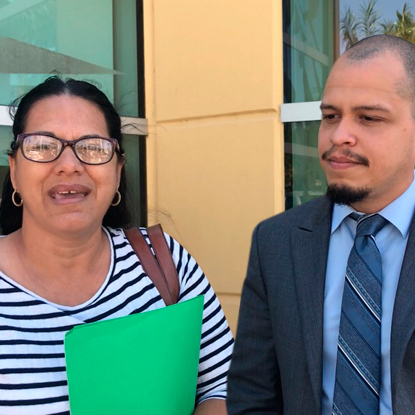 Thankfully, we were able to get her released from a detention center in the United States and today she is on her way to obtaining permanent residency. May Angie continue being successful! 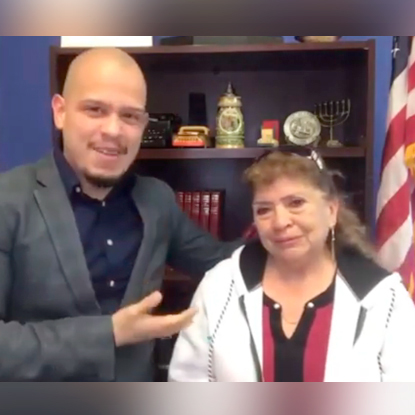 Karla Cisneros, a young Venezuelan woman who was held in a detention center and threatened to be deported, was able to leave the detention center and today is on track to regularize her status in the United States. 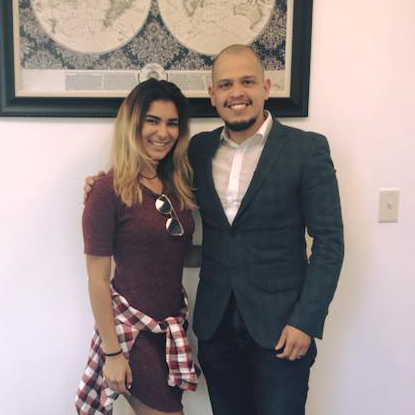 Yankort Yañez, a young Venezuelan, managed to obtain political asylum while detained in a facility that only approves 9% of asylum cases. Yankort will soon be applying for his permanent residency! 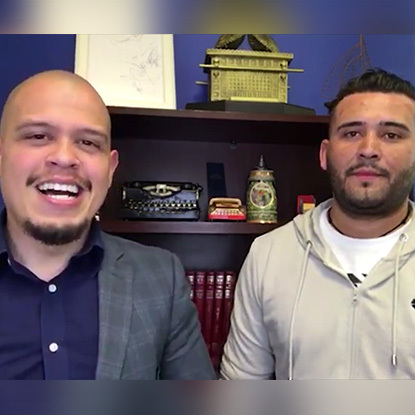 Joel Alfaro, a young Salvadoran - after years of being undocumented, constantly stopped by immigration and on the verge of deportation - manages today to stay free and on track to regularize his status in the United States. 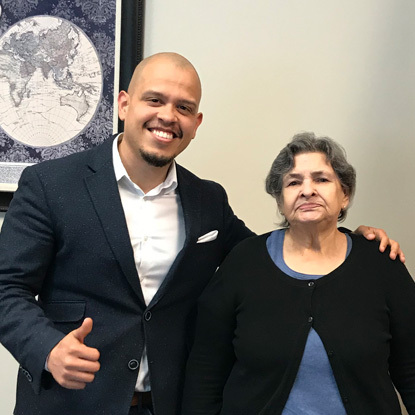 My client, Ms Alaniz, after many years as a legal permanent resident, with God’s Grace, she was able to become a US Citizen! Congrats!